I'm continuing my series of guest posts around Dangerous Ideas and this week, I'm pleased to welcome travel writer and author Jennifer S. Alderson to take the reins of my blog. Jennifer is a travel mystery writer whose novels visit exotic locations and conjure wonderful visuals and descriptions whilst entertaining readers with cracking mysteries that really involve you. Today, Jennifer has offered to explore the idea of fulfilling - or not fulfilling - the expectations of readers. Is it dangerous not to fulfill reader’s expectations? 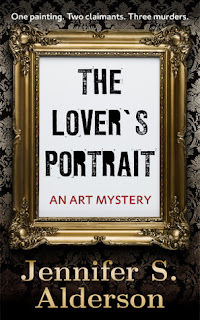 A social media conversation I had with Dean Mayes about reader’s expectations – in his case a man writing romance –made me think about my latest release and the unrealistic expectations my setting and plot may be creating for prospective readers. 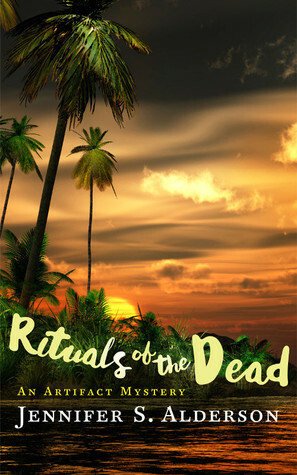 My latest novel, Rituals of the Dead: An Artifact Mystery, is set in the Asmat region of Papua in the 1962 – when it was a colony of the Netherlands known as Dutch New Guinea. For virtually everyone who knows about the Asmat, headhunting is the first thing that comes to mind. Though it is true, this is only one aspect of their intricate culture. While conducting research for an exhibition of Asmat art in the Tropenmuseum, I read many first-hand accounts written by missionaries, explorers and anthropologists working in the region when it was still a colony. The area was known as a sort Wild West – untamed wilderness and people whose spiritual beliefs were vastly different than western ones. Though several of these travel diaries describe the ferocity of tribal skirmishes and headhunting raids, what stayed with me most were the constant references to the Asmat’s shyness. These striped, feathered, bone-wearing headhunters were shy? It seemed hard to fathom, based on the usual descriptions I come across of the Asmat and the island of Papua New Guinea in general. In my novel, you won’t find descriptions of headhunting raids or cannibalism. This wasn’t a conscious decision to be politically correct or anything like that. When I began writing Rituals of the Dead, the idea of these fierce warriors being shy kept flitting to the forefront of my thoughts. Perhaps I over compensated by not including a single passage about these practices, but they are not essential to my story. There was no reason to include such information in my book, except sensationalism. Or perhaps, to stay true to readers expectations and assumptions about the region. I hope my portrayal of the Asmat in the early 1960s is not off-putting, and that readers come away with a broader view of the Asmat, colonial relations and the work of missionaries in the region. I am truly curious to see how readers react to the story and my descriptions! Authors, do you think it is dangerous to not fulfill reader’s expectations? Readers, do you enjoy reading books that challenge your assumptions about other cultures and countries? Her travelogue, Notes of a Naive Traveler, is a must-read for those interested in learning more about – or wishing to travel to – Nepal and Thailand. It was also awarded a Readers’ Favorite 5 star medal. Visit Jennifer S. Alderson here. Purchase Jennifer S. Alderson's books here. 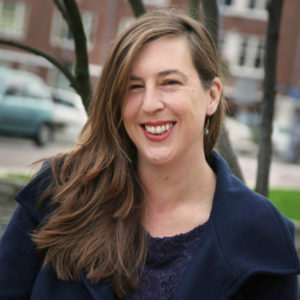 Connect with Jennifer S. Alderson here. Tweet with Jennifer S. Alderson here.